My working life is varied and no two days are the same, but I usually wake up about 7 a.m. unless I’m on breakfast TV. I’m not that sharp in the mornings, so it’s just as well when I can sit in bed for a bit to catch up with social media and sip coffee made by my husband. I’ve been a hospital doctor, GP partner, and a locum, but nowadays seeing patients is a very small part of my work. I now get more of a buzz from teaching medical students at Imperial College, which means getting to west London by 9 a.m. on some days. My students are usually fifth or sixth years, so they’re very nearly qualified doctors and already have a vast store of knowledge which they haven’t yet started to forget… I lead small workshops, and it’s my job to help students deal with a range of challenging scenarios. We often use actors as simulated patients. In fact, just such an actor appears in my novel Hampstead Fever, but she’s entirely a product of my imagination. I’d never, ever, put real colleagues, students, or patients in a novel. It’s totally taboo – a bit of a shame, I sometimes think, as I’ve met some wonderful characters. The teaching session ends around 1 p.m or 1.30 p.m., in time for a bite to eat. In the afternoon, I try to do some writing. I’ve been the doctor for The Sun newspaper for 18 years, which means I can get asked for my say on whatever health story hits the news, be it a radiation spill or a celeb with an injury from stumbling out of a nightclub at 4 a.m. My contribution is usually a short My View, written on the hoof. I well remember an editor asking me for 300 words on the dangers of drinking petrol, adding, “You’ve got bags of time. Take 45 minutes if you need it.” The job keeps me on my toes, and I love it. I never know what’s coming at me next, so it’s just like being a doctor in Accident & Emergency but without getting my hands dirty. At the moment, I’m working on my third novel. My first two are contemporary fiction with multiple viewpoints, and they’re all about dating and family life in London. The current WIP is a bit of a departure. Although it still focuses mainly on relationships, it has just one viewpoint, covers several periods of time, and is set mostly in Egypt, where I grew up. I often have a non-fiction book to write or co-author at the same time, but this novel needs a tad more research than most of my fiction, so I’m concentrating on just the one book. I say ‘concentrating’, but my willpower evaporates when it comes to Facebook, Twitter, or Instagram. On some days, there might be a radio interview or television appearance, such as ITV This Morning. It’s usually on a topical health issue, or on parenting. I’ve written a slew of child health books, including two on raising twins. My own three sons have grown up and flown the nest, but one or other of my twins might drop in (my eldest son lives in Birmingham so I see him less often). Evening is a lovely time to sit on the terrace with a glass of something with my husband Jeremy, and rearrange the plants or just watch the sun set. If we’re in Cambridge, we’ll go down to the river for a stroll. Jeremy usually cooks supper. I think he’s the better cook. On some evenings, I give talks to expectant parents of twins and triplets. I’m an honorary consultant to Tamba (Twins and Multiple Births Association), and involved with a couple of other charities as well, including Lucy Air Ambulance for Children, and APEC (Action on Pre-Eclampsia). Fortunately I don’t have to work as hard as I did when I was a hospital doctor (in the bad old days, it could be 80 hours a week), and I enjoy seeing friends, especially at evenings and weekends. Some of my close friends go back to my childhood or to uni days, but many are fellow authors that I’ve met more recently. 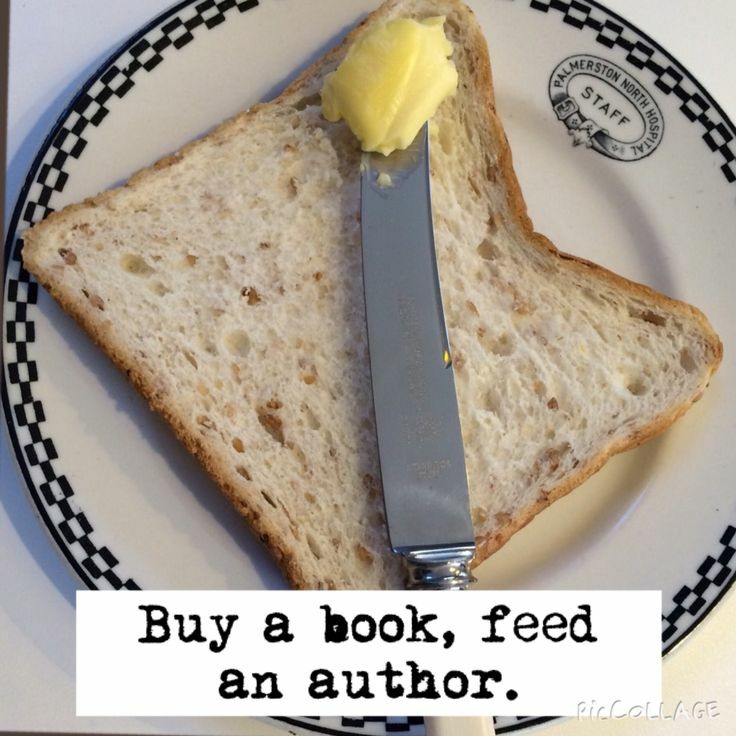 Book-writing is a more welcoming world than a lot of people imagine, and I’ve made good friends. I often read a novel in bed before I drop off, and I always have pencil and paper on hand in case I have a bright idea in the night. Too bad I can’t always decipher my notes in the morning. WOW. Don’t think I’ll complain about being too busy again. Thanks so much for sharing, Carol. 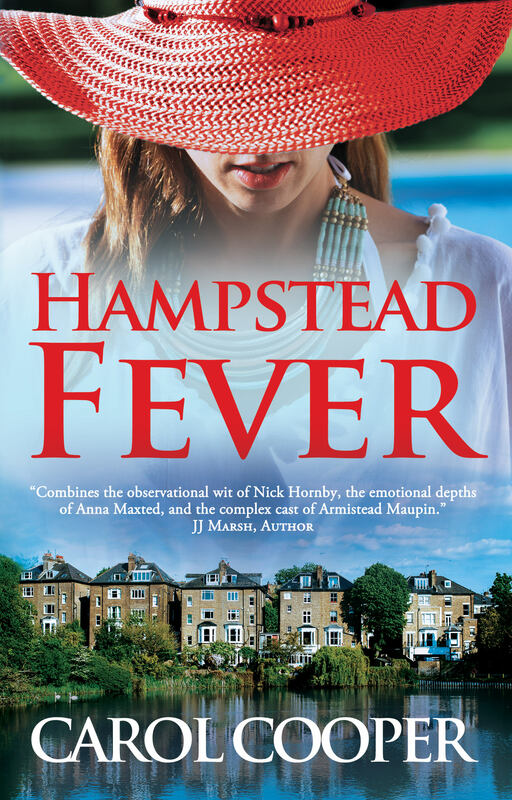 Now you can get Hampstead Fever as an ebook for just 99p from October 14 for two weeks. 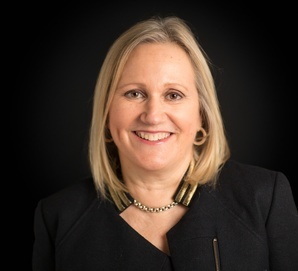 Carol Cooper is a doctor, journalist, and author, living in London and Cambridge. She contributes to The Sun newspaper and broadcasts on TV and radio. After a dozen non-fiction books, including an award-winning textbook of medicine, she turned to fiction with her debut novel. One Night at the Jacaranda follows the fortunes of a motley group of 30-somethings who, looking for love, find themselves. Her second novel Hampstead Fever focuses on six North Londoners grappling with life and relationships while their emotions boil over in the summer heat. This year, Hampstead Fever was picked for a prestigious promotion in WH Smith travel bookshops around the UK. Carol enjoys gardening on her patio. She’d probably have other hobbies too if she didn’t love writing so much. You can follow Carol’s blog Pills & Pillow-Talk, or find out more about her writing on her website. She’s also happy to connect on Twitter, Facebook, Instagram, and Pinterest. 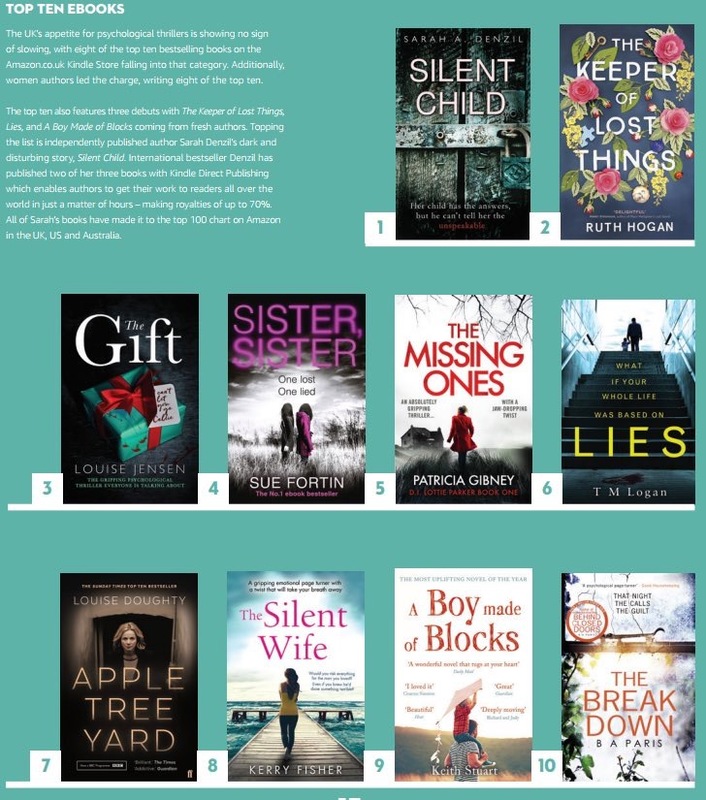 The Gift is the 3rd biggest selling ebook of 2017! 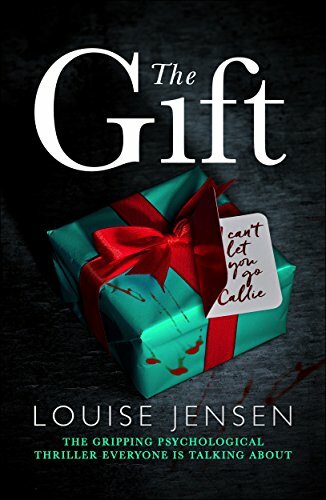 A super quick post to say a huge thank you to everyone who has read, recommended and reviewed The Gift. I’m stunned and delighted my second book has been named in Amazon’s half yearly trends report as the 3rd biggest selling ebook of 2017 so far. As The Gift was released in 2016 I never dreamed it would get a mention at all. It was a lovely surprise. It’s been a phenomenal year and I’m really so grateful. Readers/Writers – How do we all feel about ebook piracy? A couple of nights ago my husband and I opened a bottle of wine and sat down for one of those ‘let’s talk about the future’ conversations. You know, one of those discussions where you make a five year plan and then look back on said conversation five years later and laugh hysterically? We’ve been saving for our own house FOREVER and just as it seems my dreams could become reality we’d been hit by the news the medical treatment I am reliant on to remain mobile had been cut by the NHS without warning (you can read about that here if you want to). We agreed my health must come first and we must use the deposit we’ve saved to cover future medical treatment instead. As Tim sloshed wine into my glass (hey we can’t cut back on everything) his phone beeped. A Google alert. He has one set for my name. He scanned the message and sipped his drink, not quite meeting my eye. ‘A terrible review?’ I asked. And it would have been. 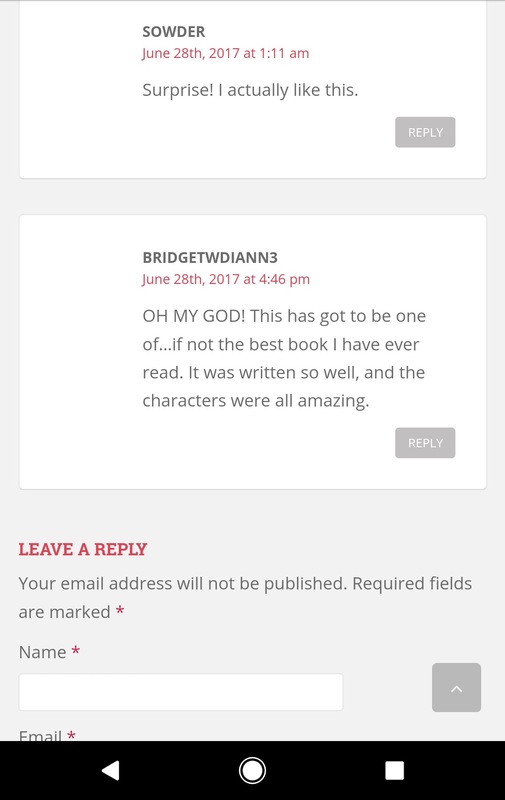 If it hadn’t transpired this review, along with others, had been left on an illegal e-book download site, and after the conversation we had just had about our tight finances I don’t mind admitting to feeling winded. Almost as though someone had stolen out of my purse. There are always going to be those who want things instantly, who want things free, I know. I appreciate that although my books are only £1.99 if you are a quick reader all those £1.99 adds up (although ‘libraries’ spring to mind). Or there’s the argument readers don’t want to invest in a book they might not like (there’s a ‘try a sample’ option on kindle). I wasn’t going to blog about this, the creative industry is open to piracy, books, films, music but I mentioned it to another writer yesterday and I was surprised by his reaction. He said he wouldn’t mind if his books were on illegal download sites as he felt if this was the case his name would spring up more frequently on search engines. I don’t know about that but I’m genuinely interested now to hear other writers (and readers) opinions?